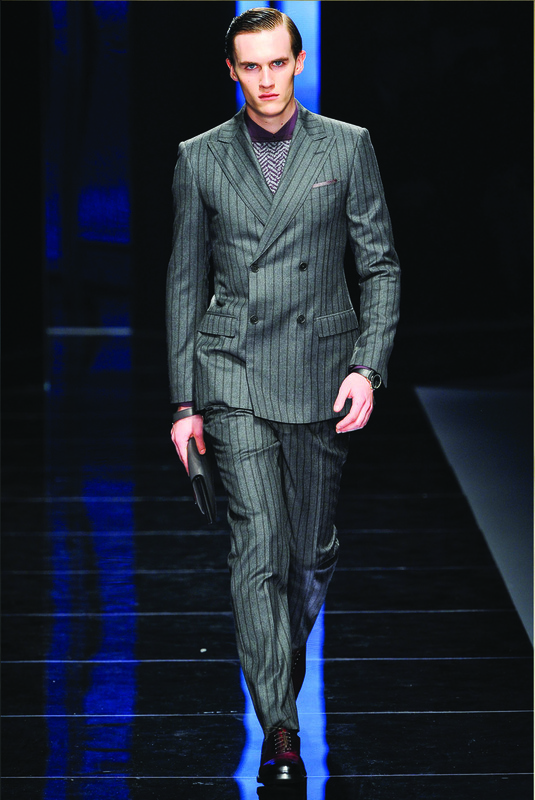 Masimillano Giornetti’s Autumn/Winter collection was the definition of male power dressing. 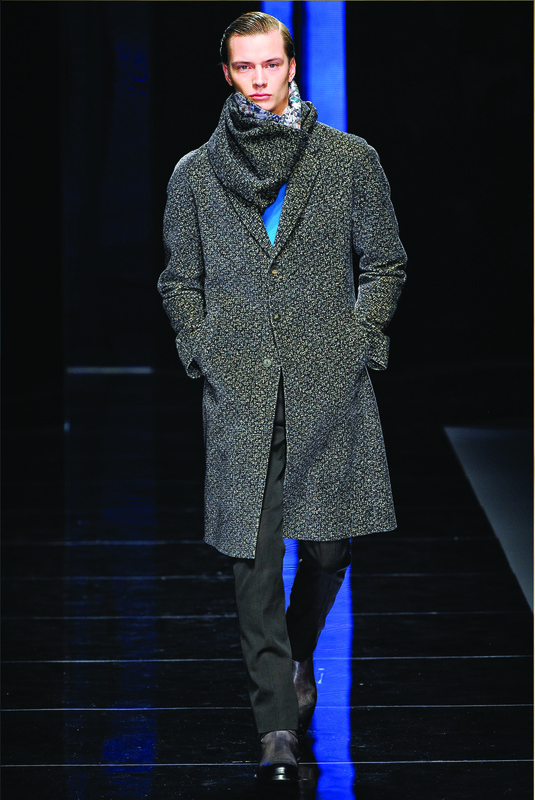 Giornetti’s silhouette for this collection was strong and sophisticated and almost cold at times. 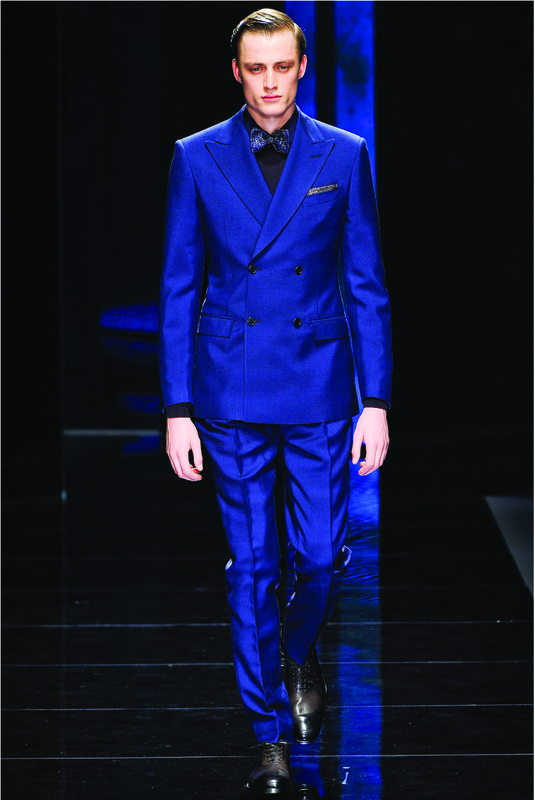 The cut of the suits was sharp and the upturned, exaggerated collars on the coats and jackets reminded me of the sinister villains in classic Alfred Hitchcock films. 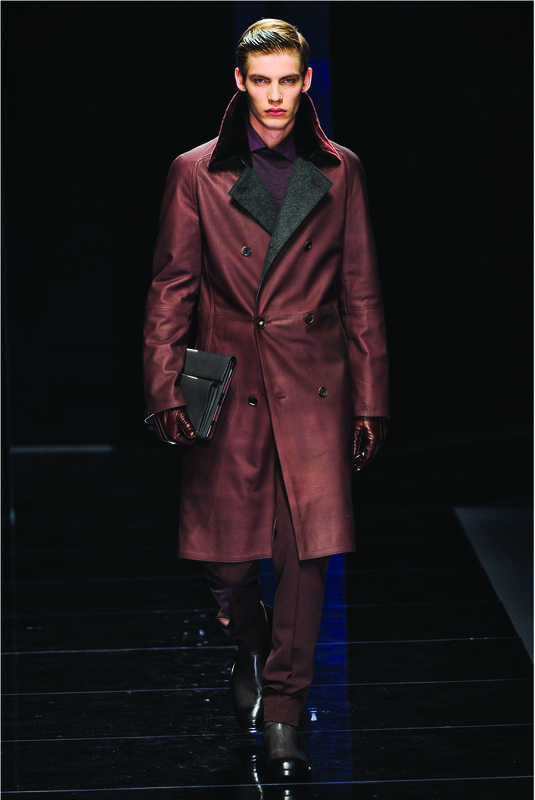 The colour palette for this collection featured darker tones of grey and rich berry tones with hints of rust as well. 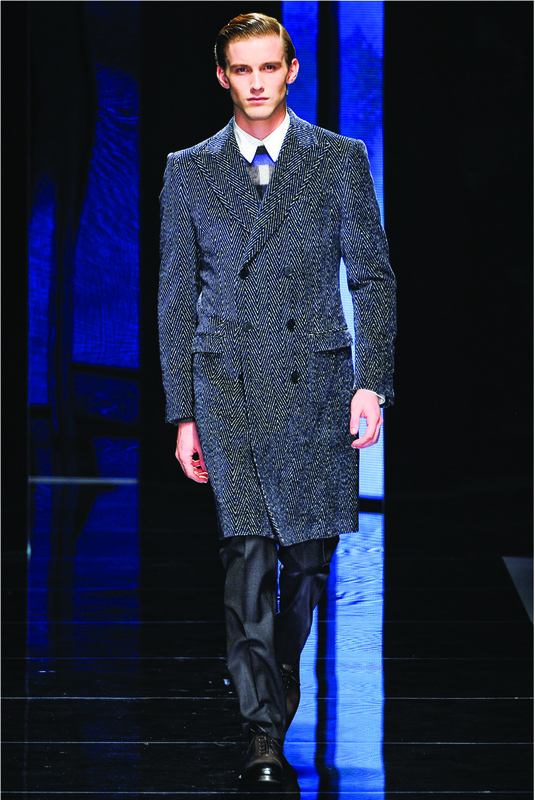 The textures in the outerwear and evening jackets range from plush velvets and silks to speckled wool and tweed, producing a versatile, wearable collection. The genius behind Giornetti’s latest work is how he has balanced luxury and practicality to create a cohesive, well-tailored look that will certainly make it’s rounds in many fashion editorials to come.